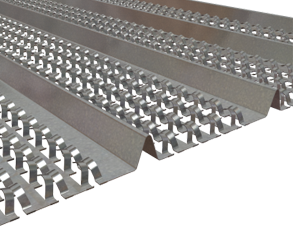 Expanded Metals help the formation of joints, protection of corners and resistance against cracks, chips and impact damage. Galvanized Steel according to BS EN 10327 superseded by BS EN 10346:2009, zinc coated on both sides. 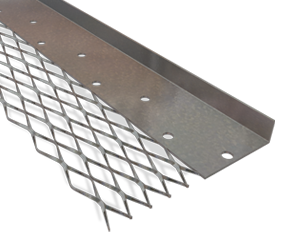 Angle beads provide with its solid metal nose a straight corner. Expanded diamond mesh wings allow for keying the plaster right up to the nose of the bead. It is designed to protect the corners. Micro angle beads are designed for thin coat plaster and are used at corners for protection. Micro angle beads are popular thin coat beads with fine mesh wings. Fix either by galvanized nails or using plaster dabs. 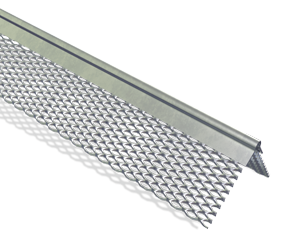 Plaster stop bead provides a straight accurate line, it is used to reinforce the plaster or render on its edge. 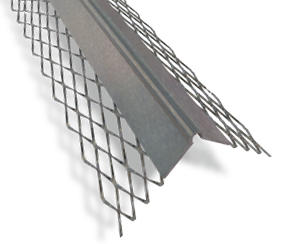 Plaster stop bead is designed as a universal plaster stop used at wall ends, door and window openings to make a neat, flush frame. Micro plaster stops are designed for thin coat edge protection at openings. They provide abutment of plastered areas of other wall finishes. Micro plaster stops provide efficient keying and excellent finishes. Micro plaster stops make neat, flush frames for windows and other openings. Designed to minimize the plaster cracking and to allow movement in the plaster. Control Joint Bead overcomes movement tolerances in plaster Expansion / Control joints provide excellent expansion control for both walls and ceiling and offers positive locking of the stucco to the edge of the joint. Control joint bead helps reducing stucco separation at the edge of the joint. They provide for the basic expansion and contraction that can be expected in the stucco membrane, such as initial shrinkage during curing and minor thermal expansion and contraction. 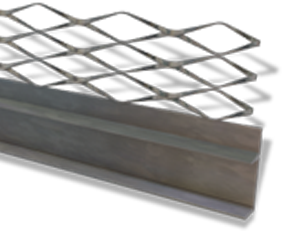 Available in galvanized finish for internal use and in stainless steel for external use. Mainly used for decorative purposes to give a channel gap or a shadow between different walls finishes. Mainly used for decorative purposes to give a shadow between different walls finishes. 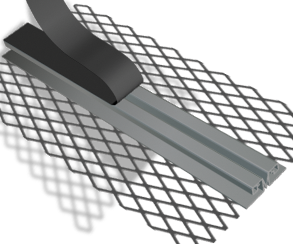 Movement Beads are used to relieve the stress and strain in large plaster areas of wall and ceiling stucco areas and to allow for movement between adjoining surface finishes. 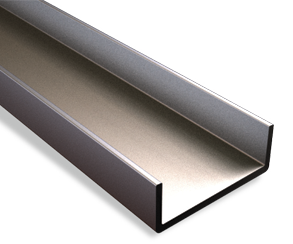 The Aluminum Channel is a versatile product, commonly used for groove making; a decorative purpose for plaster finishes. 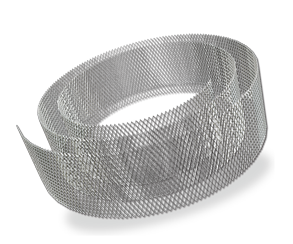 Corner Mesh lathes are used to prevent cracking in the plaster of the corner, and by protecting the inner corner against various factors. Corner Mesh lathes helps the formation of proper plastering. 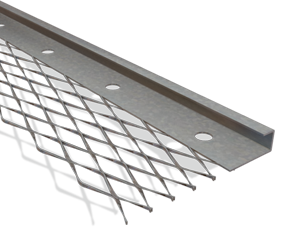 Strip Mesh Lathes are used along stress lines where cracking is likely. 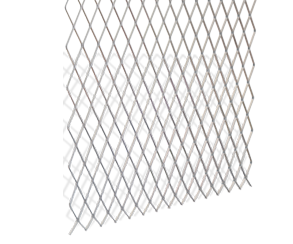 Strip mesh provides reinforcement to the plaster to prevent crack over joints of different materials. 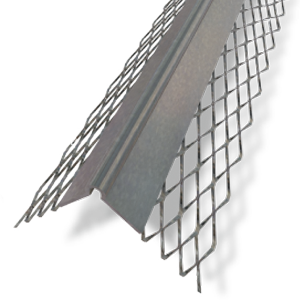 Sheet lath is produced as a key for plaster when applied on suspended ceiling and walls. 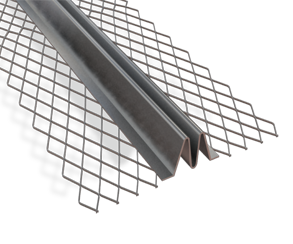 Sheet lath is used for encasing steel column and beams, assisting in the protection from fire. 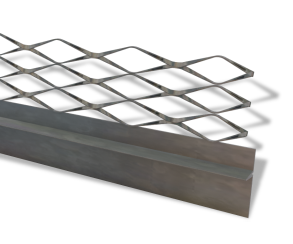 Manufactured from Pre-galvanized steel to BSEN 10327. Hy Rib is available using stainless steeI to BSEN 10088-2 type 1 .4301 . 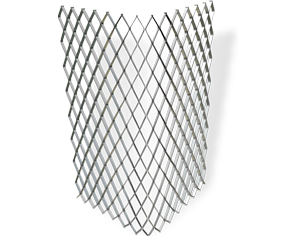 The profile of Hy Rib open mesh in combination with its ribs provide an inherently stiff sheet along its length.